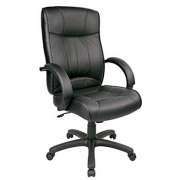 No piece of office furniture has a bigger impact on a professional&apos;s work experience than a task chair. With supportive seating, everyone from computer programmers to school principals will enjoy greater productivity. Selecting an office chair might be the single most important decision you can make when it comes to furnishing your space. What kind of chair will fit your training room? 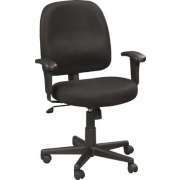 Hertz Furniture&apos;s wide selection of task chairs will fit a range of styles and budgets. 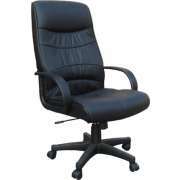 Our computer chairs come from reliable manufacturers including OFM, Boss Global and Eurotech. 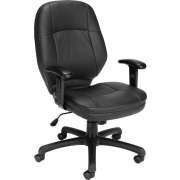 We even offer extended warranties on many models so you can be sure that our executive chairs are in it for the long haul. 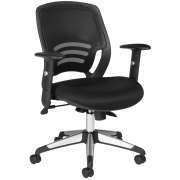 What is the most important thing to look for in a task chair? 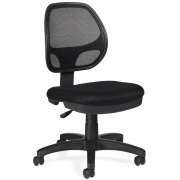 Ergonomic task chairs come in many shapes, sizes and styles. 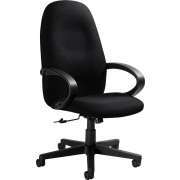 The first feature that should be considered when comparing models is the lumbar support. When the lower back is positioned correctly, the whole body will feel more comfortable. 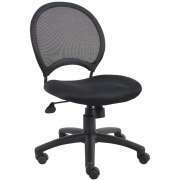 Many office chairs have padding that includes built-in stationary lumbar support. Because each person has a unique build, adjustable lumbar support can be quite helpful. Rather than assuming that the regular computer chair configuration will fit everyone, each employee can enjoy perfectly-placed supportive pressure. Which of your office chairs are adjustable? 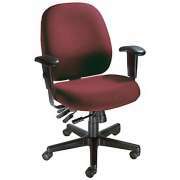 All of our office task chairs have adjustable seat heights and bases with casters. These standard features are essential in the workplace. When two colleagues need to collaborate on a project which requires many hours of cooperative work, one can simply roll their chair over to the other&apos;s desk rather than having to sit in a guest chair or carry a heavy item across the floor. Adjustable-height chairs will save money in the long run because they make it possible to ensure that seat height will always correspond to the desktop, even if new office desks are purchased or chairs are shuffled around. Any task chair with the basic amenities can be put in a school computer lab, library computer center, or any other place where desktops are used for short amounts of time. Students and teachers do need to sit comfortably while they conduct research or learning programming, but it is not essential for the chairs to have many extra adjustments if students are not sitting in them on a regular basis. 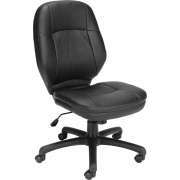 Lower-budget task chairs with basic padding, support and adjustability are intended mainly for such situations. Who needs an ergonomic task chair? In a setting where professionals are seated at desks for entire work days, especially if they are working on computers most or all of the time, additional features are necessary. If technical writers or administrative assistants spend extended amounts of time typing and clicking in an incorrect position, this can have long-term effects on their bodies. Even in the short term, the pain and discomfort that results from improper posture can lead to loss of productivity, a need to take more sick days and in some cases even surgery. However, proper positioning with a custom fit enables workers to maximize their hours at the office. 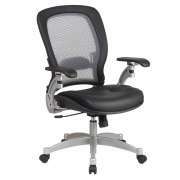 For all-day comfort, you need more ergonomic features. Adjustable tilt angle and adjustable seat depth enable each person to keep their spine correctly aligned with cushioning in the proper places. 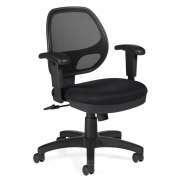 Adjustable tilt tension is another feature that can really enhance the best task chairs. 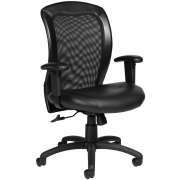 What are the benefits of an armless task chair? Task chairs come both with and without arms. While it might seem that armrests are always helpful, but that is not necessarily the case. 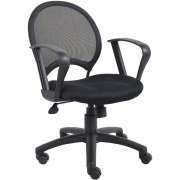 An office chair with armrests will not always fit well with a work surface of any height. 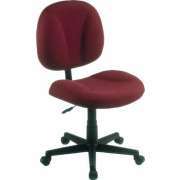 Armless task chairs can be pushed into desks or tables neatly no matter what the height of the desktop is. 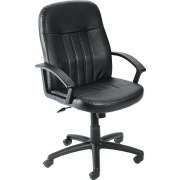 However, adjustable armrests can be helpful because of the added support that they provide. When all of the factors that are related to health and comfort have been taken into account, it&apos;s time to think about style. 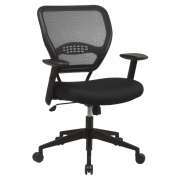 Mesh task chairs provide a healthy airflow throughout the day, which is especially desirable in hotter climates. 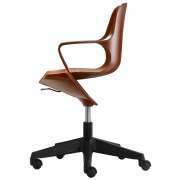 Leather office chairs are a classic favorite that project elegance and expertise. Even among fabric-upholstered chairs, there is always the matter of choosing the ideal color. For science and health applications anti-microbial vinyl is the optimal choice. 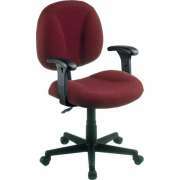 Any one of Hertz Furniture&apos;s task chairs will provide excellent seating in an educational or professional environment. With the right combination of appropriate support and attractive styling, you get seating that looks and feels great. 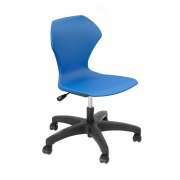 We have HON task chairs as well as models from Eurotech, Global, Office Star and many other manufacturers. Choosing from such a wide range of options can be daunting, so if you require some expert advice, don&apos;t hesitate to call the Hertz Design Center.